"Real estate is my business…my only business." December 11, 2011 (San Diego) -- With fall and winter on our door steps, you’re probably thinking you’re out of the woods when it comes to deer damage in your backyard landscapes. Wrong. Actually, fall and winter mark the beginning of the worst seasons for deer damage. Deer will eat just about anything in the winter -- their food supply is very low and they can’t be choosy. They’re hungry enough to eat vegetation that they ordinarily would not choose to eat. Read more about OUT, OUT DARN DEER!! December 1, 2011 (Alpine) -- The Alpine Woman’s Club will hold its Seventh Annual Christmas in Alpine Holiday Home Tour on Sunday December 4 from 10a.m. to 4p.m. “You will have an opportunity to stroll through four stunning homes which will be exquisitely decorated for the holidays,” said Carlette Anderson with the Alpine Women’s Club. Also, visit the new Queen of Angles Catholic Church and enjoy food and refreshments at 4p.m. at the Historic Town Hall. November 17, 2011 (San Diego’s East County) – What are the hot styles, materials and design trends in kitchens today? ECM spoke with Lynn Wyndham Morris, communications director for the American Society of Interior Designers (ASID) San Diego Chapter and owner of a Touch of Tradition Home & Garden Shoppe in the Miramar area. November 11, 2011 -- (Nashville, Tennessee) - FitDesk is a unique product that combines two seemingly polar opposite activities - exercise & computer work - into one productive and efficient activity. The FitDesk Pedal Desk is an innovative product that allows a person to exercise comfortably on a stationary bike while using a laptop computer or playing a video game. 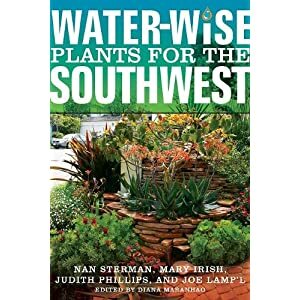 November 4, 2011 (El Cajon) -- The Water Conservation Garden is offering a 20 minute landscape design consultation at the Fall Garden & Home Festival. A professional designer who focuses on drought tolerant landscapes will meet with you. After the meeting, you'll leave with design ideas, and a list of plants. Bring photos of your house and the area you want designed. Also provide the dimensions of the space, and photos of design styles you like. November 1, 2011 (La Mesa) – Take a step back in time on the La Mesa Historic Homes Tour on Saturday, November 5. Sponsored by the La Mesa Historical Society, this year's tour features five historic houses by noted local architects, some of whom went on to even greater architectural fame. October 24, 2011 (Rancho San Diego, CA)--The Fall Garden and Home Festival, hosted by The Water Conservation Garden and Lakeside’s River Park Conservancy will take place on Saturday, November 5, 9am-4pm on the campus of Cuyamaca College. October 20, 2011 (San Diego’s East County)--The American Society of Interior Designers’ self-guided Kitchen Tour, set for Saturday, Oct. 22, from 9 a.m. to 5 p.m., will showcase 14 beautifully remodeled kitchens in San Diego County -- including several in East County and San Diego's inland regions. designed by some of the region’s own design stars. “This is an unprecedented opportunity to tour 14 astonishingly different kitchens and meet the ASID designers who created these magical transformations,” said Tatiana Machado-Rosas, Allied Member ASID, event chair.